WELCOME TO THE GEELY INNOVATION CENTRE. Geely Innovation Centre in Europe will become an open campus with multi-function buildings located in central Gothenburg, Sweden. Here you’ll find an eclectic combination of restaurants, a hotel, cafés, and retailers, in addition to offices and venues for conferences and events. A Letter of Intent was signed between Geely Auto Group and the city of Gothenburg in June 2017. The land of 26,500 m² in Lindholmen was purchased from Älvstranden Utveckling AB. The deal was closed in March 2018. The total area of the buildings is planned to be over 104,000 m². The zoning plan is still a work-in-progress. 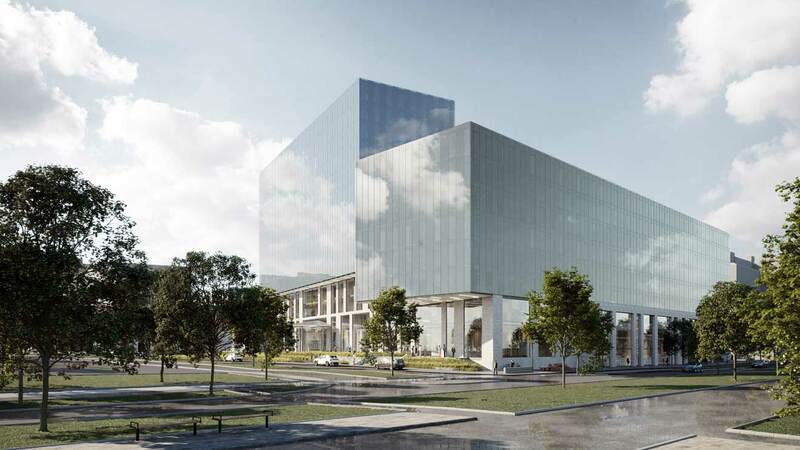 The office buildings will provide 3,500 seats for staff working under the Geely umbrella in Gothenburg, as well as workspaces open to other companies and the public. Discover the architectural vision for the Geely Innovation Centre. (Images: Arkitektbyrån design.) View from the corner of Lindholmsallén and Pumpgatan. The Geely Innovation Centre will be an inviting and modern working environment that promotes dialogue and collaboration. The architecture finds inspiration in local history, contemporary urbanity and the innovative technology that will be developed here. The buildings will meet high Swedish standards for sustainability. Contemporary light volumes of glass rise from a solid base of brick, evoking the surrounding shipyard history. Inner courtyard. The restaurants, retail shops and the visitor centre spaces on the ground floor are accessible from different sides of the building and open up to the courtyard. The main entrance. 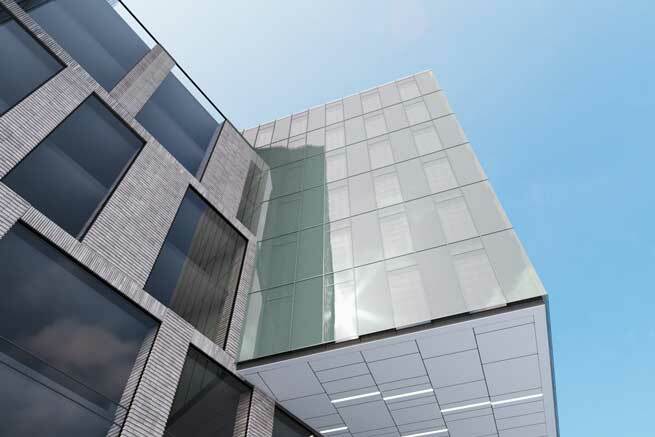 The smart use of material in the facades enables a cohesive look that combines solid brick with light and airy glass. 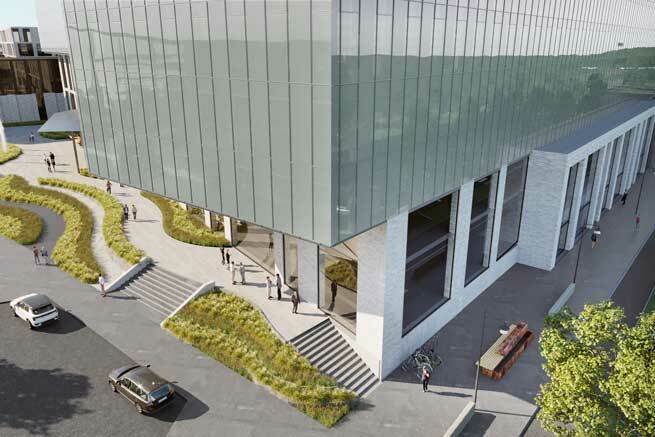 The Innovation Centre builds on a vision of openness and collaboration to foster innovation. Here, sharing will be as natural as breathing. As an open platform, the Centre will gather people and companies with diverse backgrounds and enable cross-cultural exchange, mutual learning, and the growth of innovative technologies. We discover more when we encounter new perspectives. 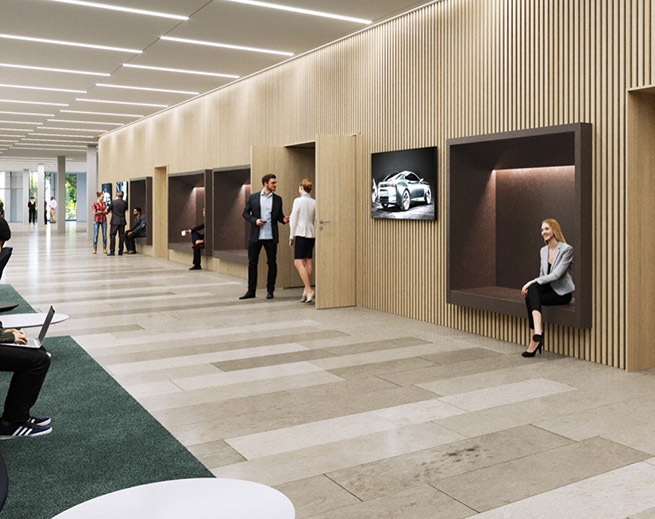 The Innovation Centre will enable more cross-company exchange and talent development within the automotive cluster, as well as open new venues for collaboration with other partners. Meet colleagues or neighbours for a nice evening at the top floor restaurant or have lunch in the international food court. The Geely Innovation Centre will be a space for cultural exchange in a diverse neighbourhood. A new showroom will house the latest products from Lynk & Co. The Geely Innovation Centre will bring together first-rate competence from all over the world. Excellent R&D facilities as well as space for start-up companies will further the development of new advanced technologies. Inspiring kids and youth to explore and get involved with science is vital – they are the ones who will find the solutions to the challenges of the future. The Centre will also enable further industry-university collaboration. We are located at Lindholmen, Gothenburg, a vibrant innovation hub for the Swedish automotive cluster. The Geely Innovation Centre will be built by the river, in the middle of the old shipyard area. 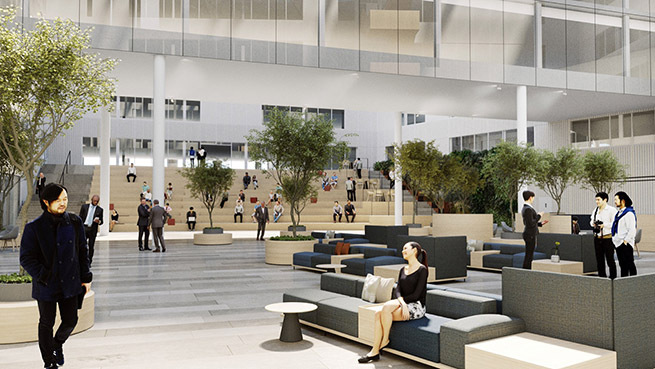 In the ongoing regeneration of the area, the Innovation Centre will be part of Lindholmen’s journey towards becoming an engineering Silicon Valley. The Geely Innovation Centre will become a platform for new opportunities and collaborations. We are open to a wide range of partnerships: from office and event venue rental to restaurants and retail stores open to the public. We offer a unique location with great promise for many types of businesses. Interested in becoming a partner? The global automotive group Geely is taking development of innovative solutions for future mobility to the next level. The Geely Innovation Centre will become a new link in the long history connecting Gothenburg and China in entrepreneurship and development: from the flourishing 18th century trade to the 21st century automotive industry. The global automotive group Geely is the owner of several well-known automotive brands. Since Zhejiang Geely Holding acquired Volvo Cars in 2010, Geely’s connection to Gothenburg has kept growing. Geely’s R&D centre CEVT (China Euro Vehicle Technology) was founded in 2013 and has grown at an extremely rapid pace that keeps over 2,000 people busy at Lindholmen. Today, Gothenburg is becoming Geely’s second home. The collaboration has brought new levels of success for Volvo Cars, the completely new brand Lynk & Co, as well as for Geely Auto. Geely is strongly committed to keep building on the success so far and the collected engineering knowhow in the automotive cluster in Gothenburg.